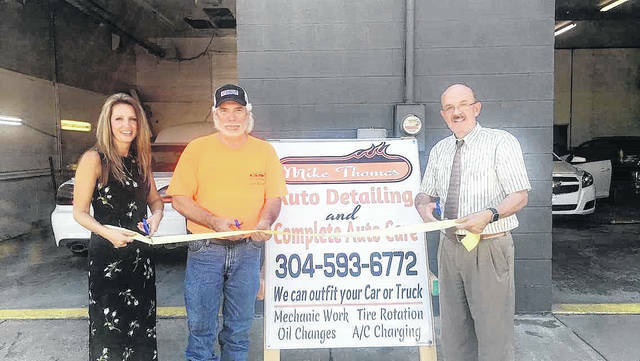 Mike Thomas’ Auto Detailing and Complete Auto Care has opened at 1214 Viand Street in Point Pleasant. The business offers mechanic work, tire rotation, oil changes, A/C charging and more to outfit any car or truck. On hand for the new business ribbon cutting were, from left, City Clerk Amber Tatterson, Mike Thomas, owner, and Mayor Brian Billings. Phone 304-593-6772 for more information.